This recipe is wonderful because it can be used in so many ways. I love to toss the mushrooms with pasta or top a veggie burger. 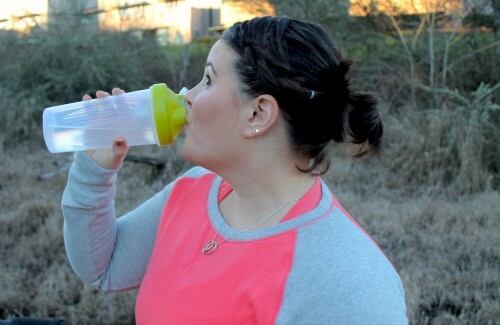 You could also toss or top your favorite grains or protein. Or keep it simple and just eat them on the side of any of your favorite dishes. 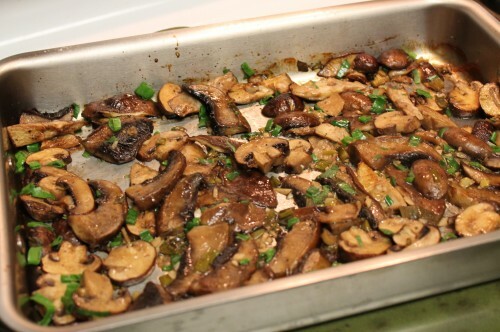 Toss mushrooms, salt, black pepper, olive oil, balsamic vinegar, garlic and whites of the scallion together and pour into the roasting pan. Spread into one even layer. Bake for 20 minutes and then toss and bake for 10 more minutes. Serve over your favorite protein or grain or toss with pasta.